First impressions are everything, and that saying especially rings true in the food truck industry. How can you have a good first impression in the food truck industry, one might be wondering? Easy. By having a successful grand opening. Now, you don’t need to spend thousands and thousands of dollars on your food truck grand opening, especially if that is not in the budget, but it’s important to make your grand opening a special occasion — because it is. After all, this special event is not only the start of your mobile kitchen business, but a successful grand opening could lead to you gaining and retaining a massive amount of customers right off the bat. If you are looking to start your business off on a beautiful note by incorporating an epic grand opening, then you came to the right place. Make your grand opening known — over and over again — on social media. Social media networks like Facebook are the perfect platforms to reach your target audience. So, first things first, you need a social media network (or two), and a great strategy to go along with it. In terms of your grand opening, food truck owners need to make sure they are promoting it on social media. Create the hype. Persuade people to come to this big event. Show off your truck and your delicious food. This is your grand opening, meaning you are likely new to this whole being a food truck owner thing. Make things easy on yourself. You can achieve that feat by having a simple menu. You also need to make sure you hire enough employees to help you out. You know, even if it is just for this day. Side note: Family members aren’t a bad avenue either, and could save you money. Prepare for everything. Your grand opening is not going to go completely according to plan. Unexpected disasters (even if they are small ones) are going to happen. Be ready for them, and don’t panic. Stay within your means. Whether you have an extravagant grand opening or a soft one, you have to stay within your budget. Your grand opening should benefit your business and get it started on the right note, not be a serious setback in the money department. Pick the perfect date. If having your grand opening on a Monday is the perfect date for your food truck business, then so be it. More likely than not, your perfect date will fall on a weekend, a time when people tend to have work off. Nonetheless, pick the date and then make it known. If possible, do your grand opening in the summer. 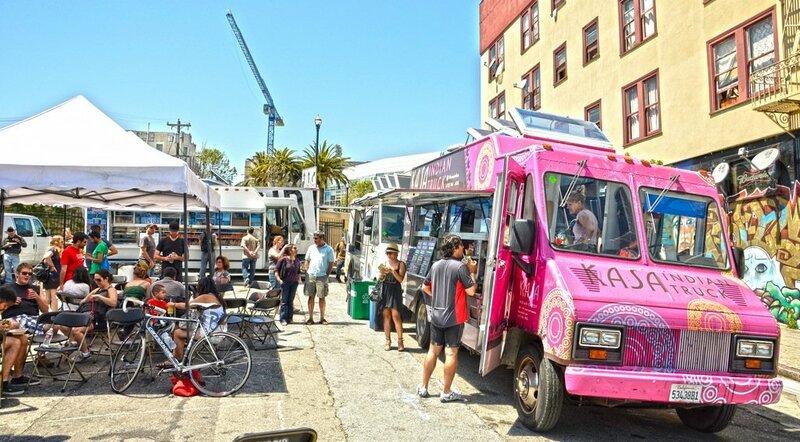 After all, and this shouldn’t come as a surprise, summer is a time when business is typically booming in the food truck industry. Don’t be afraid to invite the media, whether it is literally the local news or a local blogger. Creating some buzz is never a bad thing, and said buzz could lead to your truck gaining more customers and brand awareness. Interact with your customers. Introduce yourself. You might be new to the industry, but that doesn’t mean you have to be quiet. Make some noise! Now more than ever, customer service is essential. Take notes and learn from your mistakes and successes. See what works and what doesn’t work at your grand opening. If a certain food item falls flat on its face (people don’t like it or don’t order it), then you might want to think about eliminating it altogether. With that said, if your grand opening is only one day, then that might not be a big enough sample size to make that executive decision. Nonetheless, learn from your grand opening and then adapt. Make your grand opening more than one day. Don’t be afraid to give things away for free. People love free food, and free food tends to attract people. Pump up your team. Okay, so everyone should be pumped up to begin with, because this is the official start of your food truck journey, but giving a motivational speech, telling your employees how thankful you are, going over the entire plan or anything along those lines can go a long way. Invite friends, family and everyone you know. These folks might be a good majority of your customers until other people start finding out about your lunch truck. Post lots and lots of pictures on social media. Pictures of your food will surely lure in customers. Have fun. Your grand opening marks the day that your dream officially becomes a reality, and you should enjoy the entire process. The key to a successful grand opening is staying within your means, promoting it like crazy and making sure you are 100 percent prepared for it. If you have done all of that, then you should be set. In the grand scheme of things, your grand opening is just a small dish of what is to come at your food truck business. It is you cooking food, serving food and making people happy in the process. You are going to rock your grand opening! Just make sure to take it all in and have fun. After all, a grand opening is literally a celebration for the opening of your business. 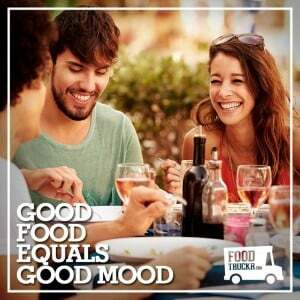 RELATED: FoodTruckr Articles That Will Do Wonders For Mobile Kitchen Owners In The Customer Service Department. If you need advice in the customer service department, then let this article be your guide.